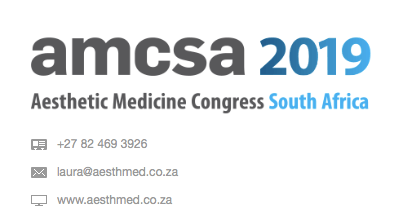 Following 13 years of very successful AMCSA congresses and 1 World Congress of Aesthetic Medicine in 2013, we are still excited about the next events. 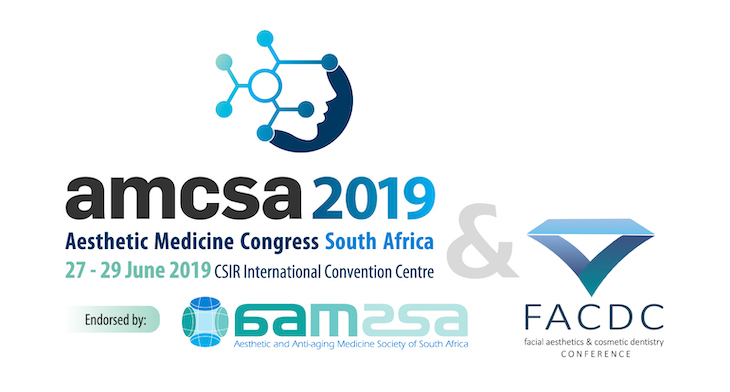 The 14th Aesthetic Medicine Congress of South Africa will be hosted again at the CSIR ICC in Pretoria from 27 – 29 June 2019, a venue that has become synonymous with our congress and offering the perfect facilities for our specific needs of practical, lectures and exhibition. The AMCSA congress remains one of the most important meetings on the aesthetic medical calendar. The main purpose and focus has remained the same since the start of the 1st congress and that is to bring high quality & international standard education to Southern Africa for the medical profession. The congress organising committee collaborates with international meetings to ensure that the standard of scientific and practical education in the field of aesthetic medicine remains up to date and relevant to the fast-growing pace world-wide. More news is that this year we also welcome the FACDC (Facial Aesthetics & Cosmetic Dentistry Conference) that have decided to join AMCSA and will host a full day symposium for Aesthetic Dentistry. This will be the 1st year where we have this beautiful merging of aesthetic medicine and aesthetic dentistry. We believe this will be very beneficial for all parties and also give the opportunity for these two industries to network and for colleagues to meet each other. What is new in the aesthetic medical part is that we will host the first INJECTION MARATHON. This is a remarkable practical learning opportunity chaired by Prof Alessio Redaelli and Dr Yves Saban, whom both have hosted this event in other countries successfully. Now we will have it in our country at AMCSA 2019.